First you will have to put the pan on the stove. After being warm the vermicelli will have to fry, be carefully that the pan doesn’t get so hot, and fry the vermicelli minimum 6 minutes. Then the fried vermicelli keeps into water minimum 5 minutes and then put it out the water. Now put the pan again on the stove and put the butter, grated coconut into it. Fry it about 5-6 minutes and put them out. Then put the vermicelli again into the pan and fry it until being dry. 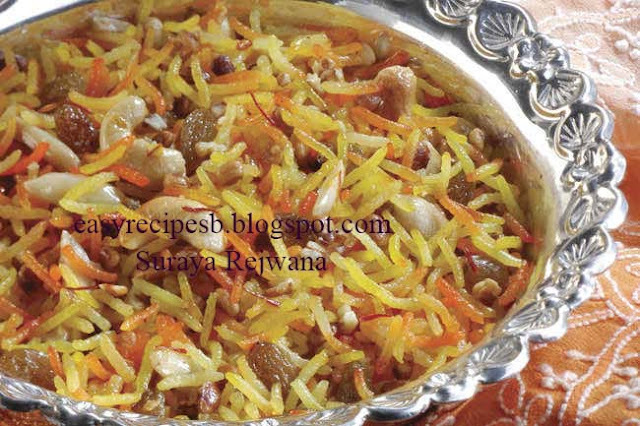 After that the sugar, fried grated coconut and dry fruits will mix with the vermicelli and without conserve. After cooking few minutes put it in a dish.